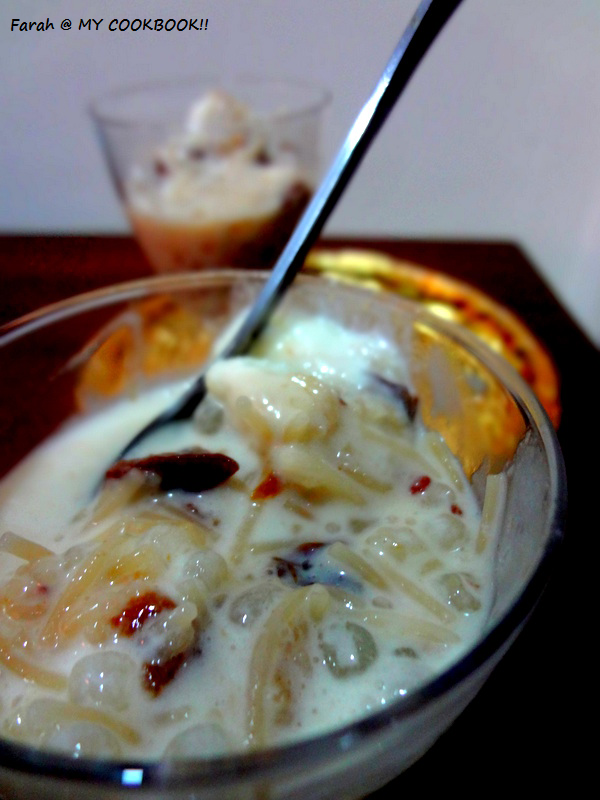 So I decided to make this payasam with the goodness of dates, prunes and sago to overcome the guilt!...lol. Tasted really good. The sad part is that by the time I served and clicked pictures it had already started melting. Drain the sago and boil in 1/2 cup of water. Keep stiring till the sago becomes almost transparent. 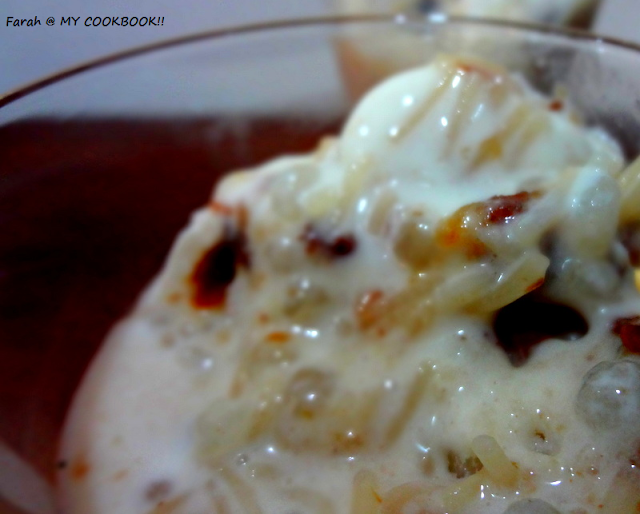 Add the milk, cardamoms and vermicelli and let it cook on low flame. Add the sugar and stir. Keep cooking till the milk reduces and becomes a bit thick and the vermicelli has cooked. Turn off the flame. Add chopped prunes and dates. Add the ice cream when it cools off a bit. Stir. Then freeze. 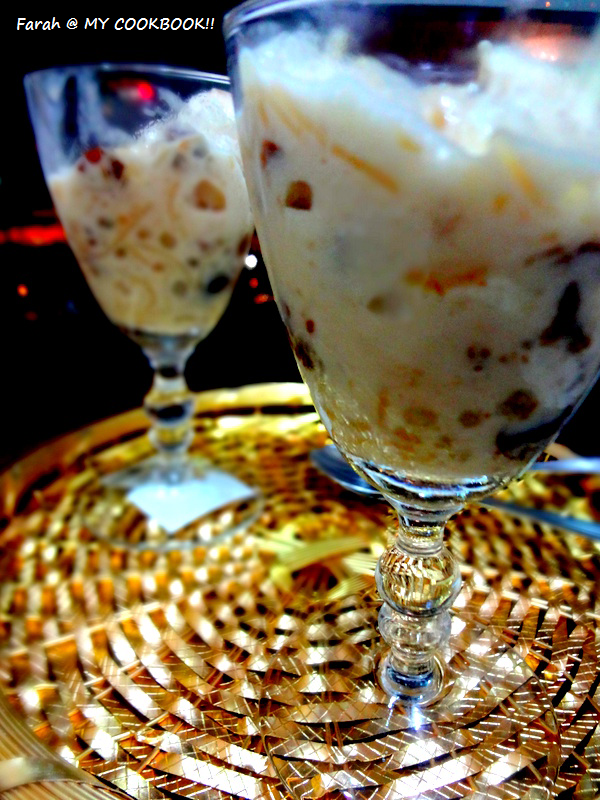 Wow, dates and prunes thats truly amazing, payasam looks delicious. 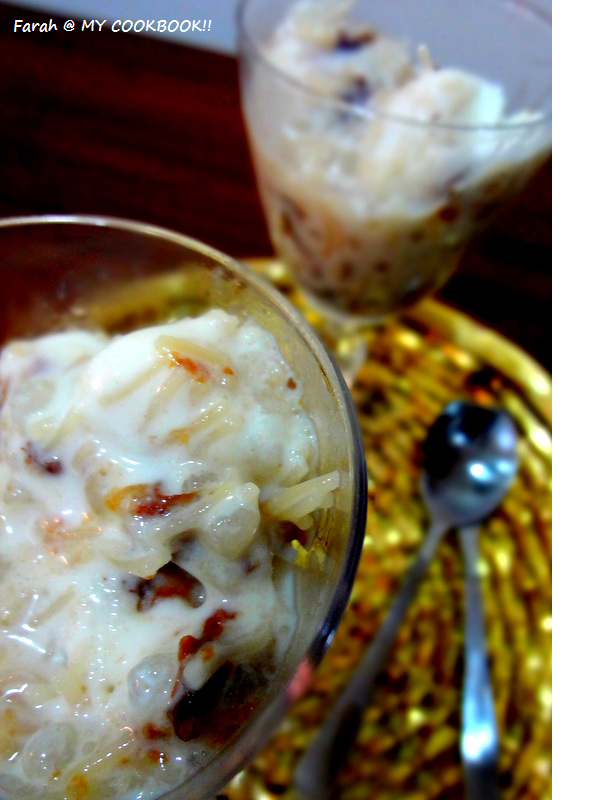 Congrats dear...Love the twist on payasam...looks yum..
Love this frozen payasam, interesting idea.